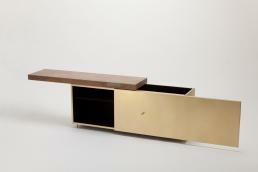 A brass drinks cabinet with sliding door and slidable top to access both the front for glassware and the top for bottles. 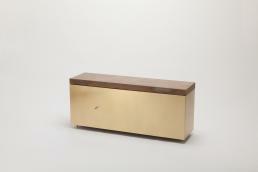 The interiors are fabric lined and the unit sits on four cylindrical brass feet with a matching brass handle. 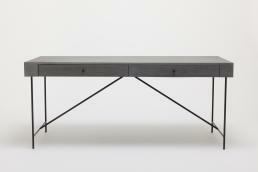 (Cast concrete top manufactured by others). 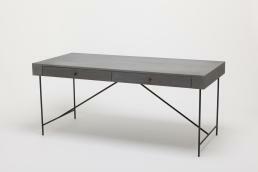 A solid beech desk with steel frame legs. 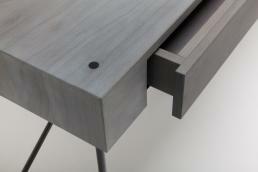 The desk top is aged and oiled to a silver-grey finish. 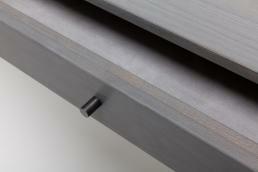 The desk has two stationery drawers lined in grey suede, with the base and handles in blackened and waxed mild steel. 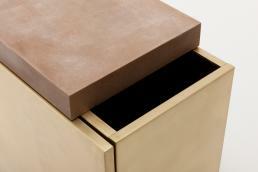 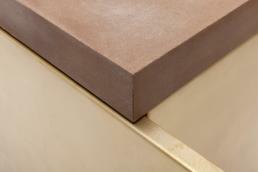 Cake Industries manufactured these bespoke pieces to the designer’s exacting specification.